For many brides, their gorgeous shoes are as much of a statement as the accessories or even the dress but they are often hidden under an amazing gown for most of the day. 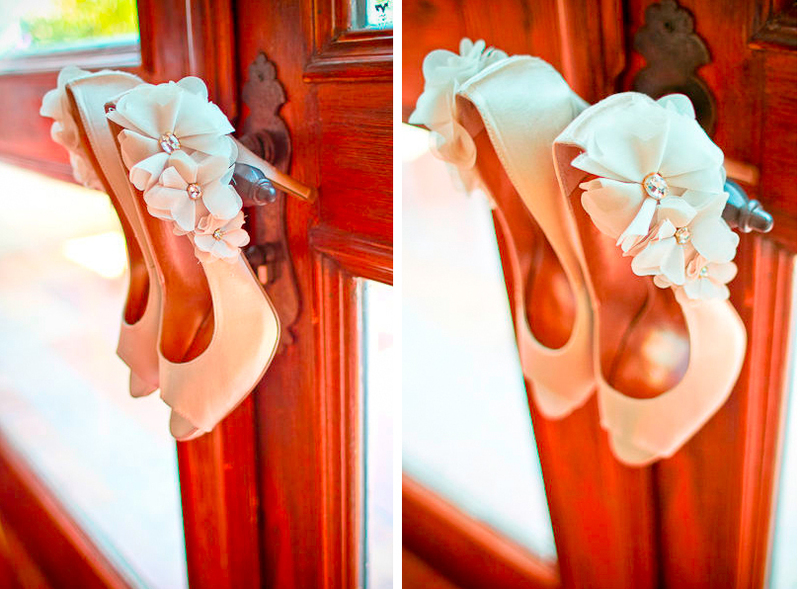 Photographing them in a beautiful way keeps the memory fresh for years to come and allows you to show them off in a stunning way!Â Contrast your breathtaking shoes with a place within the bridal suite the hardware from a magnificent door is often an amazing location to capture the beauty. A reflective surface creates an elegant backdrop for your shoes. Look how stunning these heels look on a glossy finish! 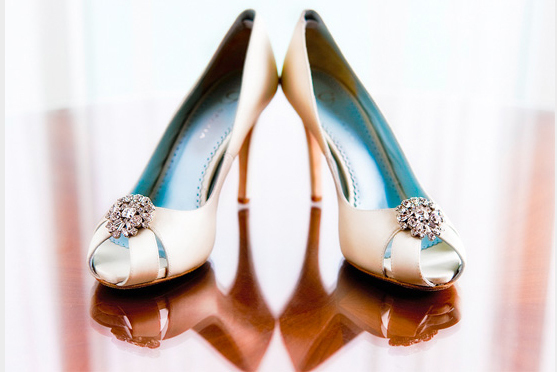 Lifting your dress to reveal breathtaking shoes is a fabulous way to display them during a photography setting. Colored shoes stand out beautifully with outdoor elements Â– the eye is automatically drawn to the shoes. Place the matching set of rings over the heel of the stilettos the rings and shoe will be wonderfully photographed.